Addressing educational inequity by providing rural and Indigenous Western Australian students with free 1:1 tuition and mentoring. Their vision is for every West Australian child to attain an excellent education, regardless of background, location or circumstance. 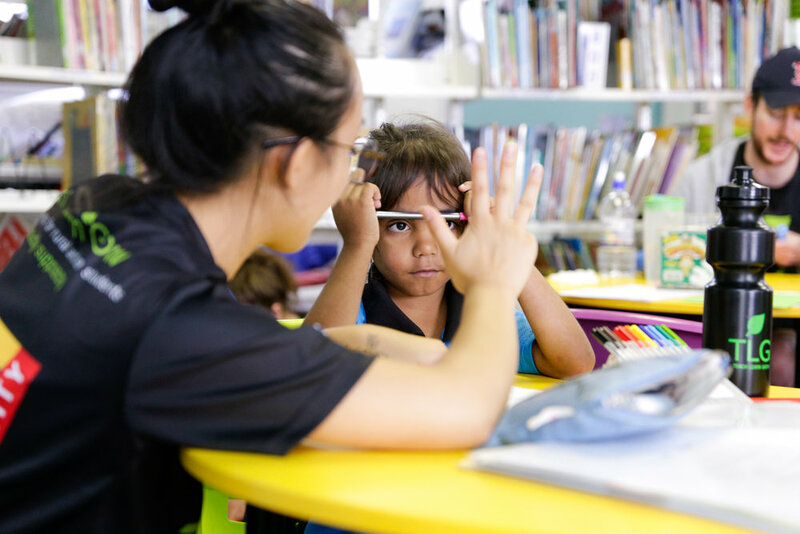 To continue this important work, TLG pitched at TFN Perth in January 2017 to continue to grow their Rural Program, which sends volunteers out to rural WA communities to conduct 1:1 Australian Curriculum mathematics tutoring during a week-long visit to a school, and their eMentor program that provides online interactive mentoring to upper-primary students in rural WA in preparation for their transition to high school, and supplements their Rural Program to ensure a sustainable impact. When Travis Ricciardo got up to speak to the Funding Network’s donors, he explained that pledging for Teach Learn Grow was pledging for a brighter future for kids who are born into disadvantage in rural WA. This is because Teach Learn Grow believes that there is no better investment than giving these remote and isolated children, every opportunity to access a quality education. The pitch was to raise enough funds to reach another school in rural WA, but thanks to the generosity and connections made on the night, Teach Learn Grow has been able to reach TWO new schools – supporting over 100 students. Below is one of the many stories of success from the Teach Learn Grow tutors. There was a young boy at one of our rural schools who had extremely low self-confidence with his academic ability. He would consistently tell his tutor that he just couldn't do anything, for example, he'd say there was no way he could spell a simple word like "hat" and then he would spell it perfectly and claim it was a fluke. For the first day or two of the program he continued to lack faith in his ability and wouldn't even attempt any questions, however, his tutor was so persistent and by midweek he was actually starting to attempt the questions and get them right. The tutor would celebrate every one of this student's successes and reward him with stickers. Once his confidence in his academic ability improved he started to engage more socially with the other kids. He began to show off his amazing break dancing moves and started helping the other kids do them as well. The incredible moment came on Friday after he received 100% in a test that he'd originally received a mark of just 10% in, and he said to his tutor "You've inspired me to become a teacher". This student was originally adamant he hated maths, and he ended the week begging to only do maths, instead of playing basketball with the other students. Like Travis said, there is no better investment. Learn more about Teach Learn Grow.